White Rock now officially has their very own brewery! On April 26th, 2014 the newest brewery in BC opened their doors. 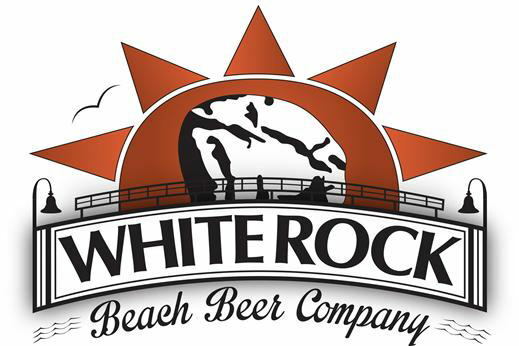 It’s called White Rock Beach Beer Company and its a welcome addition to the local scene. The brewery was started up by 3 guys Rob Kwalheim (Brewmaster), Peter Adams and Bill Haddow (Marketing) all from the same much different profession, Teachers. The brewery launched with 3 beers White Rock West Beach Fruit, White Rock East Beach Nut and their seasonal White Rock Border Porter. The brewery will only be opened on weekends to start as they will be working all week currently. I have been to a few Nano Breweries over the last few years but this one takes the cake as the smallest one by a long long shot. The system they are using is more of less an uber home brew system. I am pretty sure they will be upgrading their system in the near future as this one is just way to small. Every brewery has to start somewhere though! The brewing system is comprised of a small Brew Magic system for the actual brewing. The beer is then transferred into Keg style fermentors that I would guess are around 50L. Their beer is then transferred into smaller kegs when the fermentation is done to be ready to serve to customers. I think they may have underestimated how big craft beer is in the province and how big the demand will be. I am just happy there is yet another great local brewery in Metro Vancouver! This entry was posted in Brewery and tagged beer, brewery, white rock, white rock beach beer company. Hahaha I have my doubts. I was surprised that they are teachers and brewery owners. Most teachers have to be careful not to even be photographed drinking.